Having been working with the British womenswear label since the brand was only a conversation around a kitchen table, we translate Mint Velvet's 'relaxed glamour' philosophy into their stores in the UK and overseas. Mint Velvet is a high street fashion brand that’s contemporary, stylish and luxe – without the matching price tag. It aims to inspire women to express their inner confidence in easy-to-wear pieces. Since the brand’s inception in 2009, we have worked with the founders to develop the brand, from its in-store communications to concessions and store design. The store environment is modern and understated, whilst also tactile and sensuous. The design approach is centred on shared taste rather than traditional customer segmentation, with visual merchandising based around lifestyle rather than product range to appeal to customers on a personal level. Customised lighting and handwritten messages add a human touch. Mint Velvet stores feature a harmonious palette of muted greys and soft tones combined with edgier and more luxurious materials – stylish, but never intimidating. The eclectic mix of furniture and props are a carefully selected amalgamation of old and new. The clean lines of the bespoke fixtures add a touch of edginess while oversized velvet curtains add glamour, softening the mood. 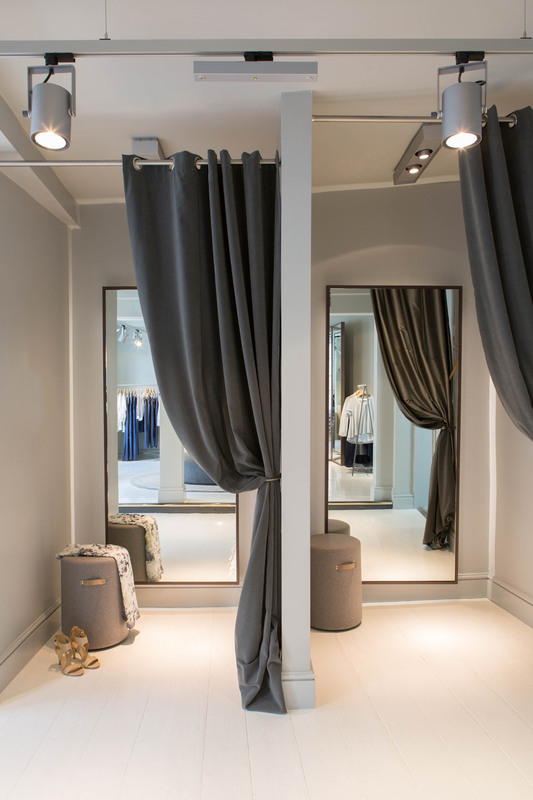 The feminine and sensuous boutique feel differentiates Mint Velvet from other womenswear labels and also makes the brand stand out in a concession environment. The design challenge is achieving the fine balance that makes Mint Velvet stores feel relaxed and glamorous, accessible and aspirational. The key to successfully growing a brand and remaining desirable is evolution. To keep the brand fresh, we collaborate with Mint Velvet’s team to constantly challenge and evolve the store design and identity, keeping a sharp focus on the customer while staying true to the core philosophy of ‘relaxed glamour’. Our partnership has helped establish Mint Velvet as one of the UK's leading womenswear brands and the retailer is now expanding overseas. We have opened new stores in Zurich, Rotterdam and Dubai, evolving the concept for new formats and localising the offer for new markets. The retailer has won numerous awards including Growing Retailer of the Year and Best Small Shop design.